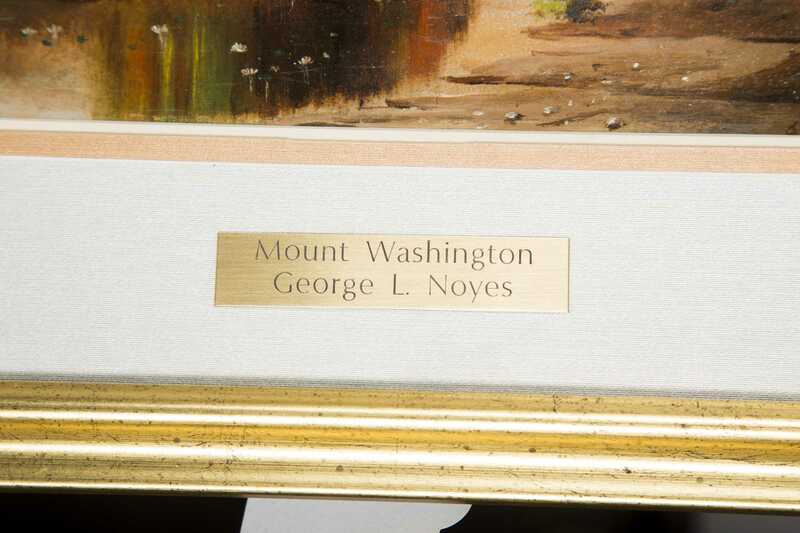 George Loftus Noyes, Mass./NH. 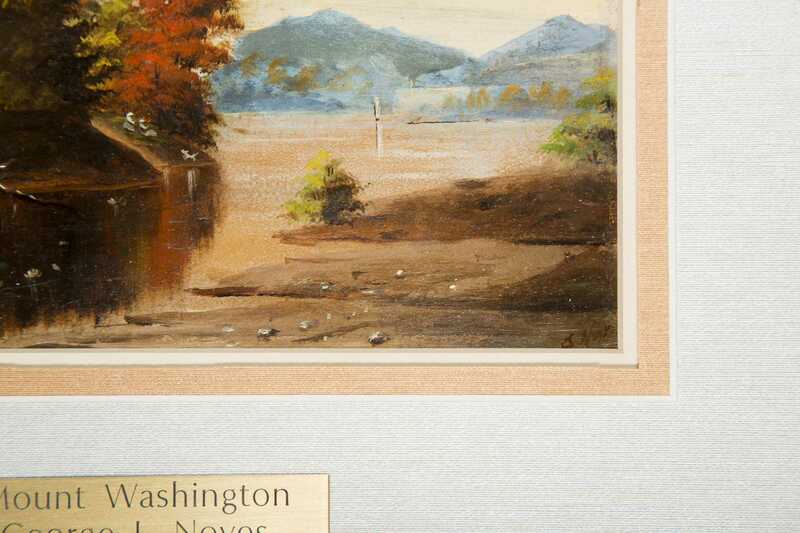 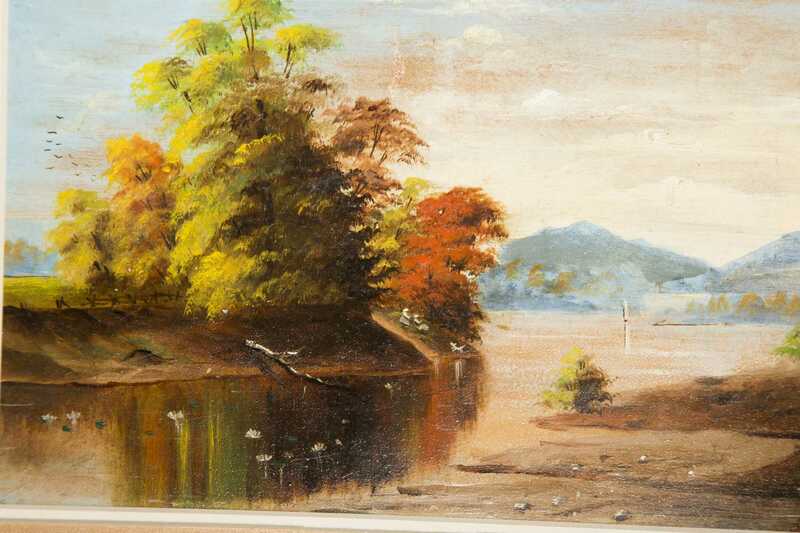 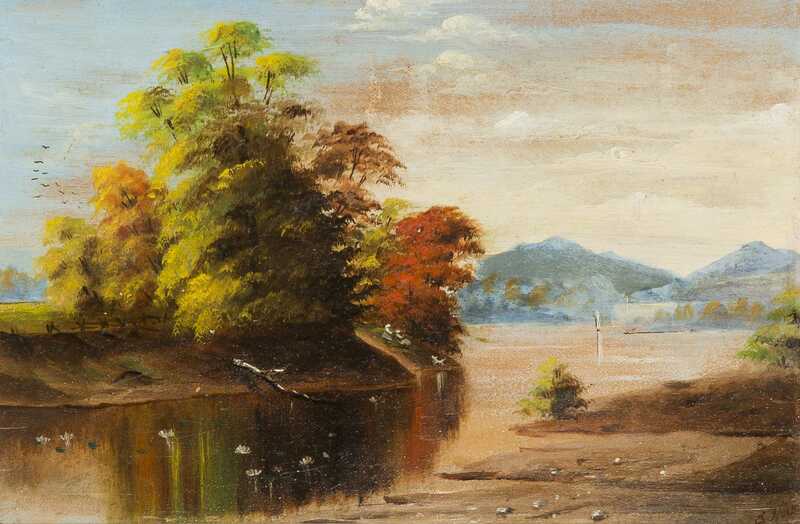 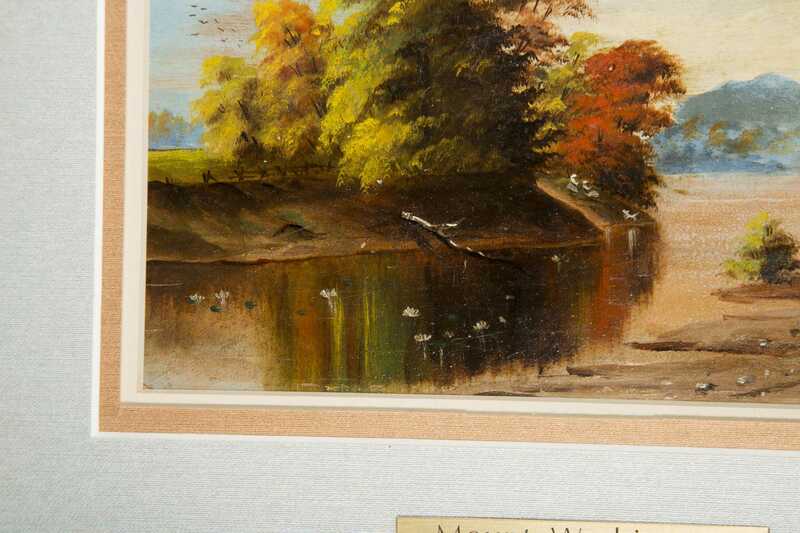 (1864-1954) Oil on board landscape painting with distant mountains, possibly Mount Washington, signed lower right "G.L. 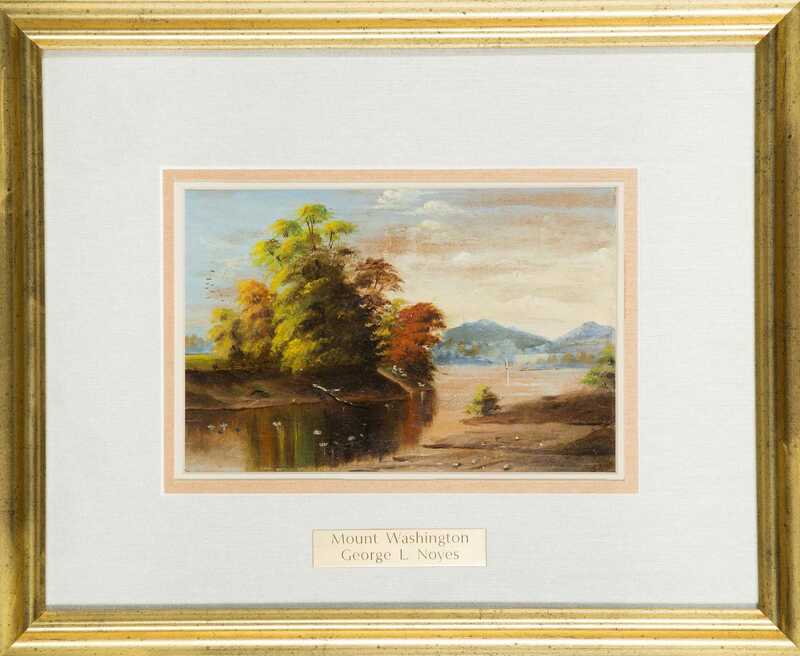 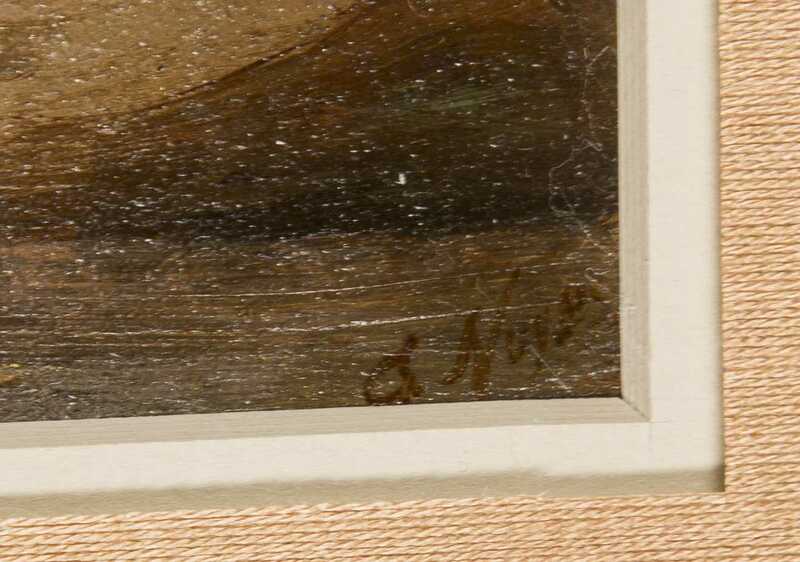 Noyes", newly matted and framed under glass, 5 3/4" x 8 1/2" sight, from a Massachusetts collection.